If you’re looking to add some pampering and maybe a side of golf to your next Walt Disney World vacation, we know a resort that might just be perfect for you. Disney’s Saratoga Springs Resort & Spa, named after the popular 19th century New York destination, has a lot going for it. But is it right for you? To answer this question, read on and discover our top pros and cons for staying at Disney’s Saratoga Springs Resort. Planning an adults-only vacation to Walt Disney World, and anticipating a lot of late nights checking out the bars, clubs, dining and entertainment at Disney Springs? There’s no closer resort on property than Disney’s Saratoga Springs Resort! In fact, you can actually walk to Disney Springs from this resort, and it takes all of ten minutes. So if proximity to the action at Disney Springs is more important to you than proximity to Disney’s theme parks, Saratoga Springs may be a winner! 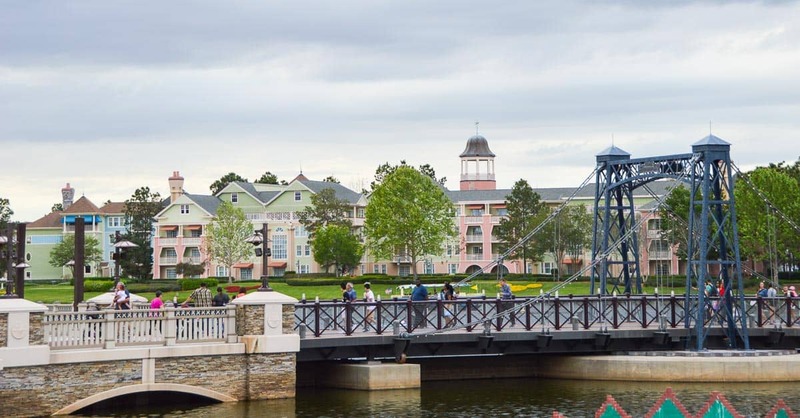 Even if you’re not staying at this resort, it’s useful to know that you can quickly walk here to grab a bus to one of the theme parks after spending time in Disney Springs, as no buses travel to the theme parks from Disney Springs. Of course, if walking isn’t your style, you have other transportation options open to you at Disney’s Saratoga Springs. Complimentary bus transportation is always available, but our personal favorite is the water taxi to Disney Springs. In our books, there’s no better way to travel in Walt Disney World! You’ll find one water launch near the Turf Club Bar and Grill, and another at the Treehouse Villas. Calling all golfers! One of the biggest pros of staying at Disney’s Saratoga Springs Resort is the golf course right on site. And this isn’t just any golf course. Disney’s Lake Buena Vista Golf Course is an 18-hole course that has hosted some pretty impressive golf events, including the LPGA Tour, PGA Tour and USGA events – so you’ll be in great company! Featuring elevated bunkered greens and an especially difficult 7th hole, you’ll find a challenge – and lots of fun – here. Disney’s Lake Buena Vista Golf Course was given 4 stars by Golf Digest – how many will you give it? Looking for more than golf to fill your hours outside of the parks? Not to worry, Disney’s Saratoga Springs Resort has a Community Hall on site that is jammed full of fun activities for all age ranges. You can check out shuffleboard equipment as well as tennis balls, rackets and basketballs, and head to the courts for a friendly game, or stay indoors and enjoy foosball and ping pong. Set your creativity free with some arts and crafts, or spend a rainy day playing board games, video games and watching DVDs. In the mood for a barbeque? Borrow some grilling tools to use at the barbeque pavilions. Disney’s deluxe resorts are known for their extra activities and experiences not available at other resorts. Disney’s Saratoga Springs is no exception! 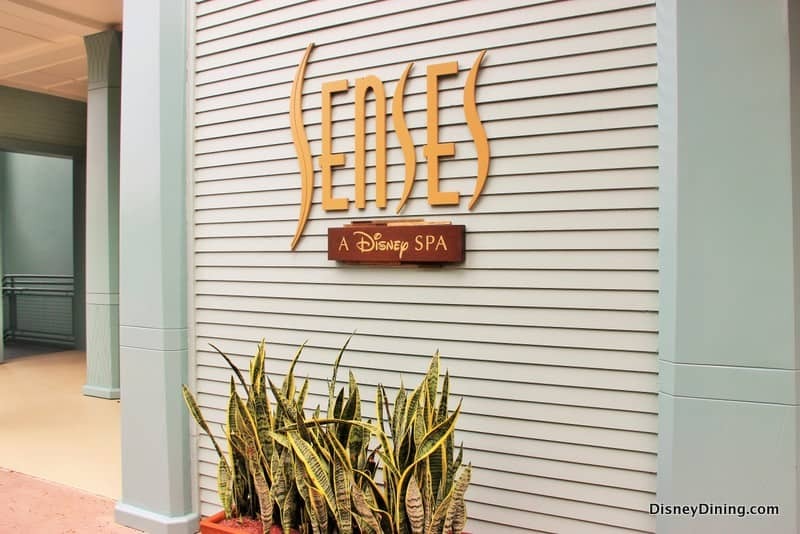 After a long day in the parks, check out Senses Spa for the ultimate in pampering. There are a variety of spa treatments waiting for you here, including facials, massages, and body wraps. But that’s not all! Relax in the steam room, the whirlpool or lie back in a heated lounger before you head back to your busy vacation. You can’t go wrong with any of the beautifully appointed rooms at Disney’s Saratoga Springs Resort. But for an extra-special experience, you’ll want to stay in one of the Treehouse Villas, along the lovely Sassagoula River. High up off the ground among the trees, these rustic yet luxurious villas have three bedrooms, and come complete with a private deck, charcoal grill, and a fully-equipped kitchen. You’ve never seen a treehouse like this before! Take a break from your regular busy morning routine with a rejuvenating yoga class at Disney’s Saratoga Springs Resort. Located close to Congress Park Pool, with a view of Disney Springs, this gentle yoga class is the perfect way to start your day. Sunrise Yoga might just be the most relaxing 30 minutes of your day! All ages (and abilities) are welcome, but we don’t blame you if you don’t want to share this one with the kids. Disney’s Saratoga Springs Resort is one of Disney’s deluxe resorts, which provides you with the best of everything WDW has to offer. But of course, this comes with a price tag – and that price tag might not be worth it for your family, especially if you plan on spending most of your time in the parks, and not at Disney Springs or on Lake Buena Vista Golf Course. Room rates at this resort start at $354 for a deluxe studio, and climb as high as $859 for a Treehouse Villa – and that’s not including tax! 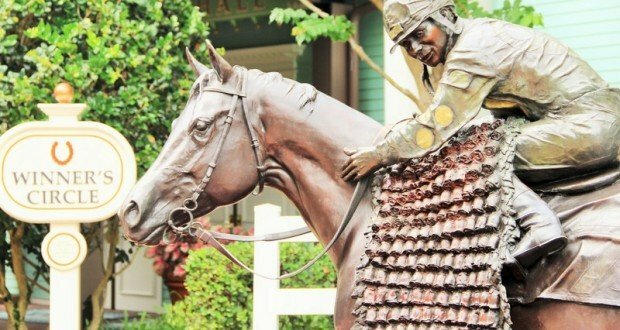 Like any deluxe resort at Walt Disney World, the theming at Disney’s Saratoga Springs Resort is beautifully executed. This lakeside resort takes you back to Victorian times, with a bright, airy and palm-studded lobby, and elegant yet understated details throughout that bring to mind an upstate New York resort. But all of this may be less than appealing to kids. 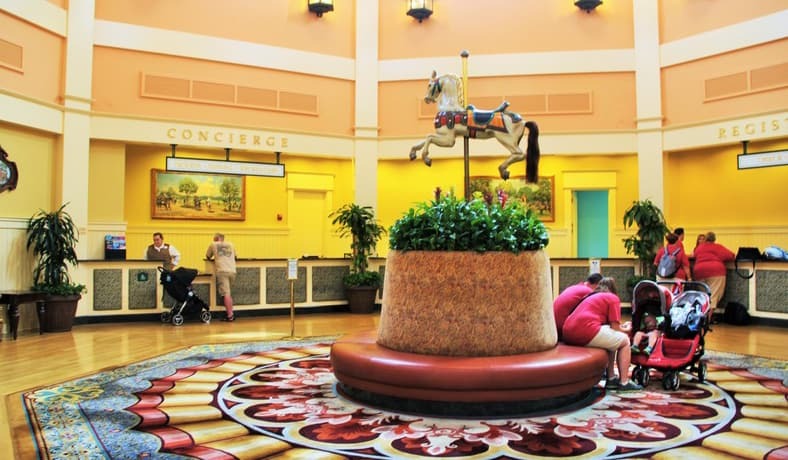 If your little ones are looking for Disney characters, pops of bright color, and child-oriented furnishings and activities, this may not be the resort for you.